Since 2016, the EU has been working on the reform of the Common European Asylum System (CEAS). Particularly tricky is the creation of a new Dublin IV agreement, clarifying which country is responsible for a person’s asylum application. EURACTIV Germany reports. 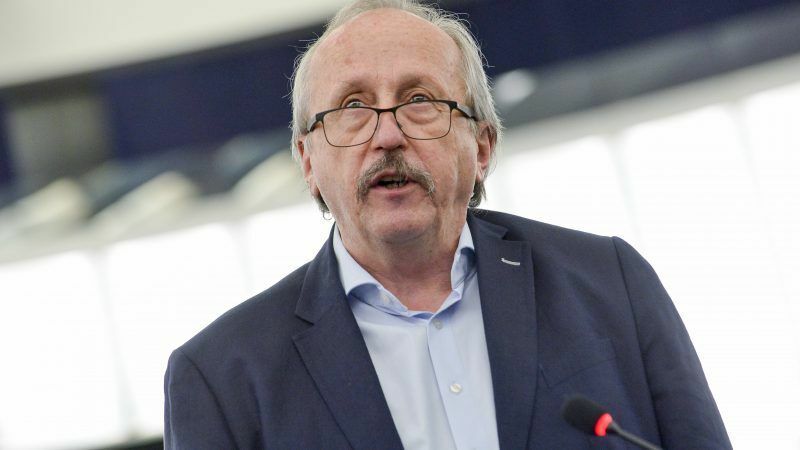 At the end of April, the European Parliament’s Committee on Civil Liberties, Justice and Home Affairs (LIBE) approved the latest reform of the regulation. It is meant to create a uniform application procedure in the member states, guarantee applicants individual legal assistance and accelerate the decision-making process. Hungarian MEP Péter Niedermüller (S&D) is the shadow rapporteur for the reform, which he discussed with EURACTIV Germany in an interview. Mr Niedermüller, what are the current problems in refugee registration that cause the need for an update of the regulation? People arriving in the EU first of all lack information. They do not know what the next steps will be. Many want to go to Europe, for example to Germany or Sweden, without knowing to what extent this is possible. Most of them do not speak the language. Many are also traumatised and need psychological support. Compulsory legal advice should therefore show these people their potential options. Also in cases where the first application was rejected due to missing information. They then can provide the missing information in a second procedure. However, the regulation should also accelerate deportation decisions. To what extent can this decision prevent “asylum shopping”, the application for asylum in different countries? Through a uniform registration and the consolidation of databases in the member states, we can quickly understand whether an asylum seeker is already registered elsewhere. A general registration requirement is very important in order to prevent that games are being played with multiple identities. To what extent identity fraud is a phenomenon that should worry us, we currently do not know. The LIBE Committee has consulted with Europol and they have not been able to tell us if these are isolated cases, or if they are a real problem. Of course, there will always be a way to betray any system. But we try to create a framework that meets the real requirements. Incidentally, I do not believe that refugees have much to do with terrorism. But of course, we need to know who is in the EU and who is allowed in. In the next EU budget, the Commission wants to almost triple the funds for border management and migration policy. Frontex is to be built up to 10,000 jobs. Is this to be accompanied by a strong common asylum system? Yes, the protection of the EU’s external borders is very important, as the representatives of the political groups in Parliament have repeatedly made clear. We do everything possible to strengthen our borders – but that does not mean that one starts to build up walls everywhere. That is not the right way. It is therefore even more important to comply with the strict rules of registration, the very strong control of refugees. The safety of EU citizens has the highest priority. But you always have to think about what safety means and how it can be guaranteed. Safety cannot mean that we simply deport people because they come from a different culture or religion. We need a system that is compatible with our European values. Is a unified asylum procedure in the interest of all states? What does your home country Hungary think about this? As you know, the Visegrád states want the asylum procedures to remain a matter for the member states alone. In any case, the EU can only create a legislative framework, and decisions on granting asylum ultimately lie with the member states. The issue of quotas is a huge problem that still causes political debate. At the moment, I have the impression that some countries are open to compromise in this regard. But Hungary’s government is still fundamentally against such an allocation formula. Only a few days ago, Hungarian Prime Minister Viktor Orbán declared that he was not ready to negotiate. He is determined not to let illegal migrants, as he calls them, into the country and to preserve the Christian culture of Hungary. Unfortunately, I do not see any movement on the part of the Hungarian government. What about the argument of solidarity within the European Union? This discussion is pointless. The Hungarian government will say that they have shown a lot of solidarity – because in the end one defends the EU’s external border. Hungary has invested a lot of money in the border fence. So that does not lead anywhere. The EU is a joint project and those who are unwilling to participate need to consider whether they can envision a future outside the union. You have to talk about this openly. Of course, we do not want Hungary to leave the EU and I do not think that Hungary wants that. But to be honest, I do not quite understand what goals Orbán’s government is thinking to achieve when seeking the conflict with the EU. Should countries be compelled to cooperate then? What do you think of German Chancellor Angela Merkel’s idea of using EU funds as sanctions or incentives for the member states to accept more refugees? I can indeed imagine something like that. The EU must be able to exert pressure, otherwise, the common system will not work. I think that in the Parliament there could perhaps be a majority for this idea, in the Council, of course, it would fail over the veto of a few countries. Therefore, we are working to create the political conditions for this. For example, a two-thirds majority in the Council could be enough, as Poland and Hungary would certainly vote against such a system. The EU has moved away from a strict allocation formula. Instead, in the reformed Dublin IV system as proposed by the LIBE Committee, it is first to be seen whether there is a social link with a member state. Will the Council adopt such a proposal? No, I am afraid that will not happen. There are still heavy negotiations to come for us. For example, the Danish Social Democrats have recently stated that they are strictly against any family reunification. Very different positions have to be negotiated, not just between left and right, or conservatives and social democrats. In addition, 2019 is an election year. I believe that once the problem of distribution is resolved this year, it must first be put on hold. I cannot imagine that a member state will be ready to negotiate this difficult issue in the middle of the 2019 elections. Therefore, we quickly need an agreement.